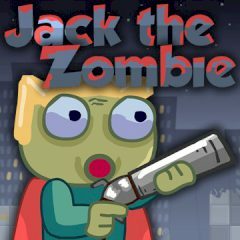 A zombie named Jack got outta his grave and decided to kill a couple of humans. Help him in this difficult mission! You have two weapons – a rocket launcher and a laser blaster. Destroy obstacles to reach your victims and kill them. Have fun!